This page contains news about the National CPM Consortium's official activities and actions. The National Certified Public Manager® Consortium's Executive Council plus other interested members met in Oklahoma City on April 27-28, 2016. 23 Board members representing 19 CPM programs attended the 2016 Mid-Year Meeting. Ten of the eleven Executive Council members were in attendance. New board members in attendance included Ann Swaim from Arkansas, Walt McBride and Stacy Jones from Georgia, Jeffrey Schmedeke from Missouri, and Becky Kennard from Nevada. Becky Bryant from AACPM also attended. Key actions included recommending that the Board approve the 2016-2017 Budget; send out the RFP for a new administrative services contract; finalize the new website; recommend board approval of Georgia's application for Active Status. There were also fruitful discussions with AACPM regarding ways to improve collaboration between the two organizations. The final morning consisted of a brainstorming session about future initiatives for the consortium. The National Certified Public Manager® Consortium approved six state programs for Continued Accreditation at their Annual meeting held in Phoenix, Arizona on September 29-30, 2015. Each of these accredited organizations provides training programs leading to the Certified Public Manager® (CPM) designation for their graduates and has the responsibility for assuring that the use of the CPM designation in their state meets the national standards set by the Consortium. Formed in 1979 and incorporated in 1980, the National Certified Public Manager® Consortium establishes and preserves standards for the Certified Public Manager® designation. It was founded on the principle that the quality and efficiency of management in government has a major impact on the lives of citizens and the orderly functioning of society. Systematic training programs are essential to maintain and improve the effectiveness and professionalism of government managers. The Consortium promotes CPM programs by providing and monitoring accreditation standards, facilitating program development, encouraging innovation and developing linkages with programs and organizations with similar concerns. Forty-five (45) Board members and 2 guests representing 39 of the 39 CPM programs attended the 2015 Annual Meeting. Significant actions taken by the membership include approving the Continued Accreditation of 6 Certified Public Manager®(CPM) programs; granting Associate Member status to two new programs and electing new leadership for the coming year. Associate status is the first step to full accreditation. Associate members receive a mentor to assist them with planning a program. The next step is Active status which allows them to begin to implement the program. Accredited status means that the program has been reviewed and approved to provide the program for 5 years. At-large: Janet Ernst, Metropolitan Washington Council of Governments, Washington, D.C. Finally, it was decided to hold the 2016 Mid-Year Meeting in Oklahoma City, OK in April, 2016. 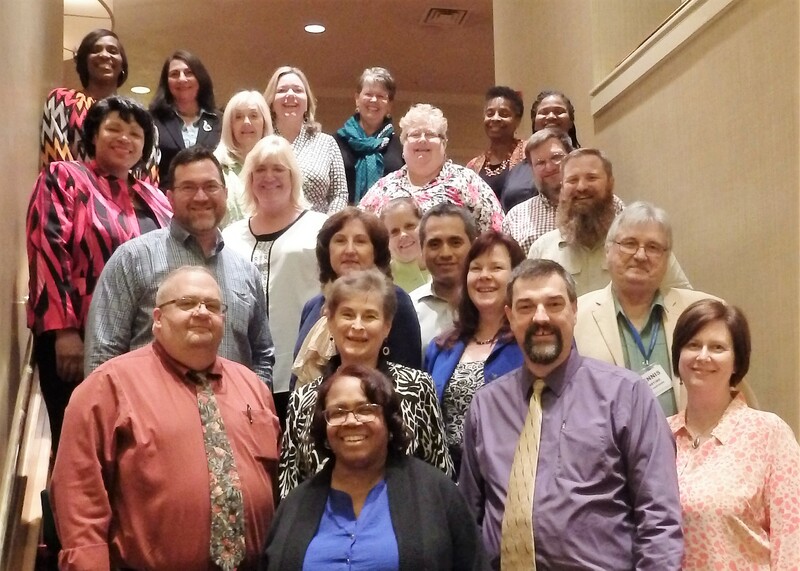 The 2015 Mid-Year Meeting of the National Certified Public Manager® Consortium was held on March 4-5, 2015 in Chicago, IL, prior to the Annual Meeting of the American Society for Public Administration (ASPA)..
Twenty (20) Board members and 2 guests representing 16 CPM programs attended the 2015 Mid-Year Meeting. Eight of the nine Executive Council members were in attendance.. This report includes meeting highlights as well as post meeting contacts during the ASPA meeting. Consensus to evaluate the feasibility of a national registry of CPM graduates. Finally, it was decided to hold the 2015 Annual Meeting in Phoenix, AZ on October 28-30, 2015 at the Renaissance – Marriott. The National Certified Public Manager® Consortium held their Annual meeting in San Diego, California on September 29-30, 2014. Significant actions taken by the membership include approving the Initial Accreditation of 2 Certified Public Manager® programs and the Continued Accreditation of four other programs. In addition, the membership elected new leadership for the coming year. The 2014 Mid-Year Meeting of the National Certified Public Manager® Consortium was held on March 13-14, 2014 in Washington, DC. All of the executive council members except Patricia Hoppe were in attendance. Seventeen (17) of the 34 accredited programs were represented by 22 people. The one active program was represented by one person. One of the five Associate/Inactive programs was represented by one person. The AACPM representatives was absent. In addition, the following representatives of the American Society of Public Administrators participated in part of the meeting: Incoming President Alan Rosenbaum, William P. Shields, Jr., Executive Director and Janice Flug, Chair of the Professional Public Management Certification Program Task Force. Issues discussed at the meeting included potential formal affiliation with ASPA, the need to increase dues to assure a sustainable management structure, plan to update the website, and a recommendation to hold the 2014 Annual Meeting in San Diego on September 29-30, 2014. The members also voted to send final warnings to pay delinquent dues to the Kentucky and Graduate School programs. The 2013 Annual Meeting of the National Certified Public Manager® Consortium was held on September 21-22, 2013 in Boise, Idaho. Actions taken at the meeting included Election of Officers and Executive Council and the Awarding of Accreditations. All of the executive council members were in attendance. Twenty-seven (27) of the 33 accredited programs were represented by 34 people. Three of the four active programs were represented by six people. Four of the five Associate programs were represented by four people. Two AACPM representatives attended. Mary DeLorenzo (r) congratulates Lorena Johnson for Illinois Reaccreditation. Chip Taylor congratulates Terri Callahan for Kansas reaccreditation. Approved a Trademark Licensing Agreement with AACPM under the Consortium’s new Trademark Standard Operating Procedures. Discussed the creation of a Fellows Program that will provide a means for former board members to continue to contribute to the Consortium. The proposal will be presented for Board of Director consideration at the September Annual Meeting. Discussed a proposal that future Mid-Year and Annual Meetings set time aside for sharing best practices, networking, sharing innovations and resources. Given changes in AACPM/ASPA Annual Conference schedules, options for future Consortium meetings will be evaluated and presented to the Board. Back Row: Howard Balanoff (Texas), David Stovall (Mississippi), Chip Taylor (Indiana), Terri Callahan (Kansas), Juella Sparks (Alaska), Marilyn Balanoff (Texas), Julie Felice (AACPM), Skip King (Mississippi); Front Row: Keith Heaton (AACPM), Mary De Lorenzo (New Mexico), Lorena Johnson (Illinois), Connie Pratt (Idaho), Sally Manatt (Arizona), Sherry Saracino (Utah), Peggy Stewart (Consortium Administrator). New Mexico EDGE CPM program graciously hosted the Mid-Year Meeting. Many thanks to Mary De Lorenzo for such a comfortable, spacious meeting room. Chip Taylor, Kathi Parker, Mary DeLorenzo, Terri Callahan, and Connie Pratt organize identified goals into categories. Mary De Lorenzo and Sally Manatt share a light moment.